Hello Rocky River, here is the second part of a post I promised. This time we will look at life in a small, isolated school serving sheep and cattle stations, School of the Air, cattle stations in the Outback and life on a large sheep station. 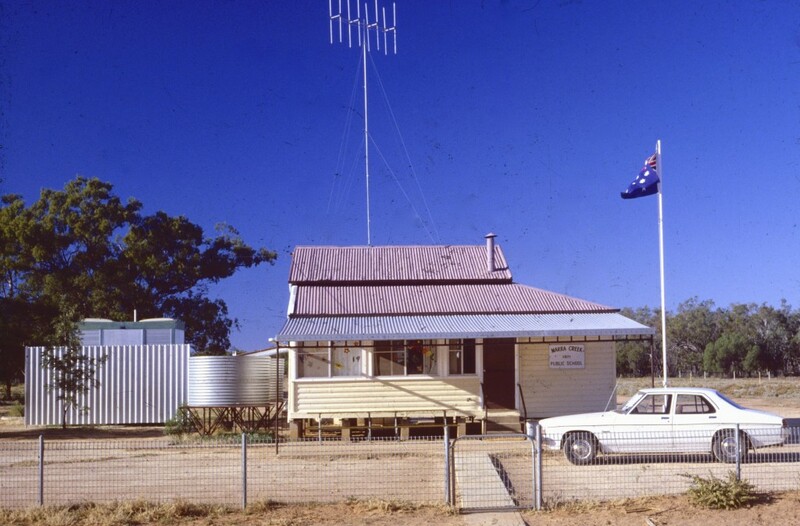 Because of the isolated locations of some children on sheep and cattle properties or in communities too small for a school around Australia, a number of schools were set up to allow children to use two way radio. 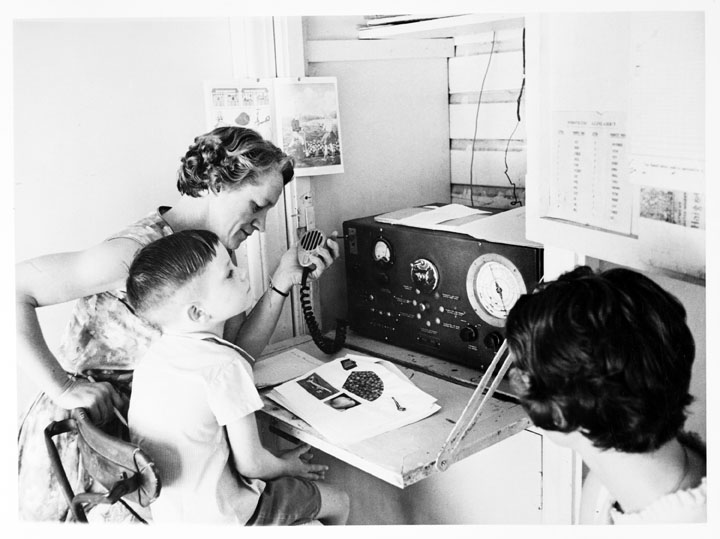 The first radio broadcasts dated back to 1951 and were sent out from the Royal Flying Doctors Service in Alice Springs. From 2003 till 2009, short wave radio was used but schools of the air are now turnng to internet technology giving students better access to information and the world. 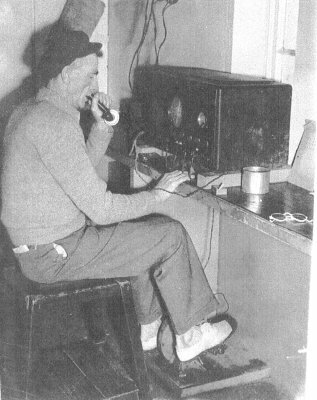 In earlier years, radio became a contact to the world for isolated people. They used radios which were pedal powered. Someone would pedal to make electricity from a generator in order to power their radio. Sourced through Wikimedia Commons - This image is of Australian origin and is now in the public domain because its term of copyright has expired. According to the Australian Copyright Council (ACC), ACC Information Sheet G023v16 (Duration of copyright) (Feb 2012). With modern technology, you would find it much easier to use solar energy for electricity. Within my state of New South Wales, the most isolated school is listed as Tibooburra School of the Air. The school is based in the town of Tibooburra. The school where I first had a permanent teaching position wasn't a school of the air although some high school students in my area used correspondence school where lessons were sent by mail. My school, Marra Creek Public School, was the sixth most isolated school in my state and the first not to be located in a town. This was the first school were I was a permanent teacher and it was considered the sixth most isolated school in New South Wales. The five more isolated, while further from the state capital of Sydney, were in towns. Marra Creek Public School was 100km (62mi) from the nearest town. The children lived on sheep and cattle stations around the school and could travel from up to 50km (31mi) to school each day. Because the outback refers to isolated and remote areas, it could be considered an outback school. If you click on the school website link above, you will see they list themselves as an outback school. This section of the blog post looks at my time in this outback school in the early 1980s. When I first arrived at the school, the above photo shows what I found. You can see it had tanks to catch rain falling on the roof if it rained and a toilet block near the school building. We had a flagpole and a tall TV antenna but we could only receive one TV channel if the weather conditions were good. The playground was mostly dirt but there was some ground covering plants. You couldn't go barefoot because there were often nasty wooden thorns called catheads. They would always have one spike pointing up. We had a phone where, if you wanted to make a phone call, you would pick up the handset and listen to make certain no one else was using it. 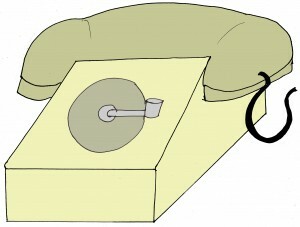 You would then put the handset down, wind a handle, then pick the handset up to see if the operator had answered. You could then ask for a number. We didn't have mobile phones, push button numbers, emails, CDs, DVDs, Bluray or the internet back then but, for 6 weeks each year, we were able to use a borrowed Apple II computer. The computer had only about 12 programs so I wrote some extras for the class to use. Luckily for the children, I had used computers while a university student in the 1970s. It was back in 1982 I purchased my first personal video camera. They were new on the market and expensive. When I used it, some people thought I might be from a television station. Using it, I produced my first school video clip. Now converted from VHS video tape to digital, below is a section of that first video clip. The youngest children, 5 years old, in the video would now be about 37 years old. I have never before shared this video clip with others since I was in that school so this is a special share for you to see outback children at work and play in the 1980s..
You Tube has removed some copyrighted music I used back then. I try to make certain video clips I now make only have music I am allowed to use. During my two years at the school, numbers ranged from 12 to 20 students aged from 5 to 13 all in the one small classroom. I was the only teacher and was known as the Teacher In Charge (not a principal). With a new classroom and my old classroom now the library, a teacher house and access to the internet, the school would be very different compared to when I taught there but it is still about 100km from the nearest town and so is still an outback, isolated school. While teaching at Marra Creek Public School, I lived "next door" to the school about 20km (12mi) distant by road. I stayed in a house on a sheep station known as Lemon Grove. While I has there, the property grew to about 400 square kilometres (100,000 acres) although at the time the video clip below was made, the property was half that size. A neighbouring property had been bought by the end of 1982. Below is a video clip I again made in 1982. 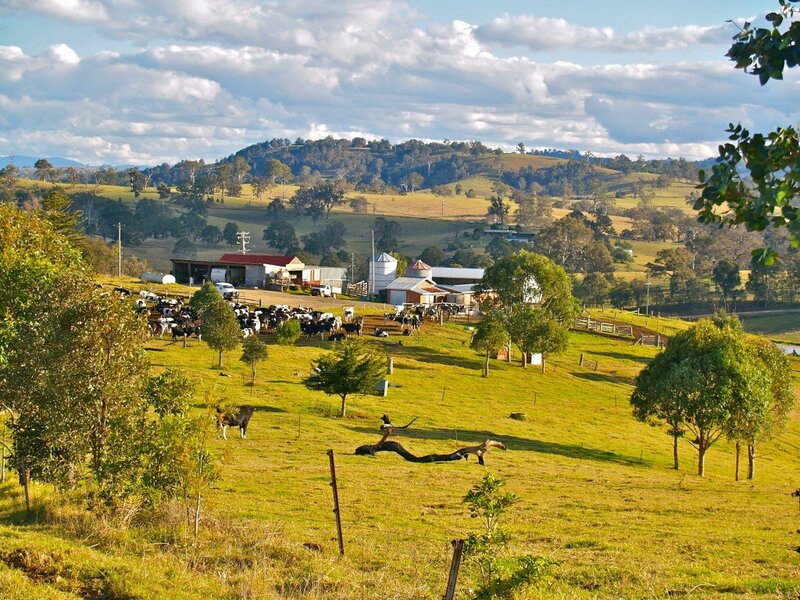 It features Lemon Grove stud (sheep breeding property) and its annual field day. The field day allowed Lemon Grove and neighbouring properties to sell their sheep. It was also a social event for the area. 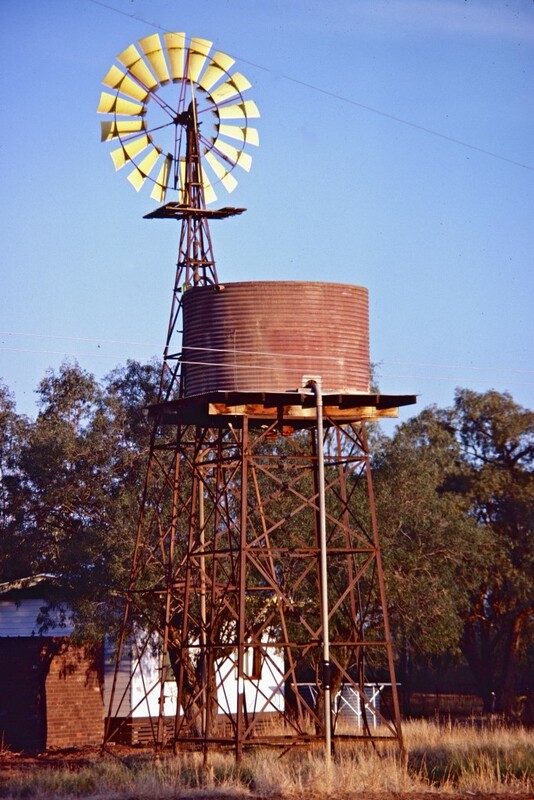 For any outback property, reliable water supplies can be a problem. 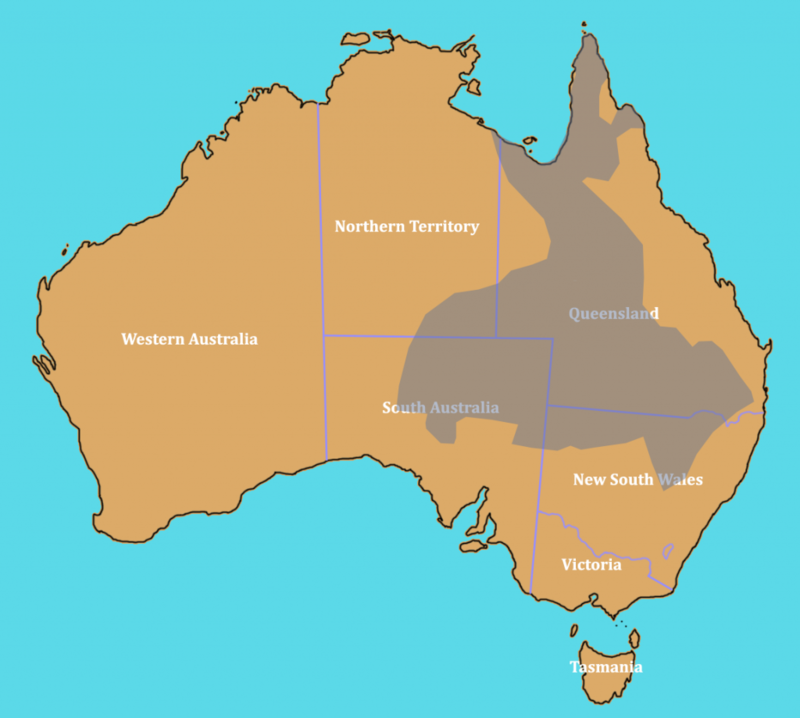 Many properties have to pump water from natural underground sources such as the Great Artesian Basin found under about one quarter of Australia although water from the Basin came come to the surface by itself (see the grey shaded area on the map below). On many farms, and sheep and cattle stations, you will see windmills. The windmills use wind power to pump water up from underground. Lemon Grove had a windmill near the main houses. Each year, the sheep on Lemon Grove would be brought in for shearing in the shearing shed. 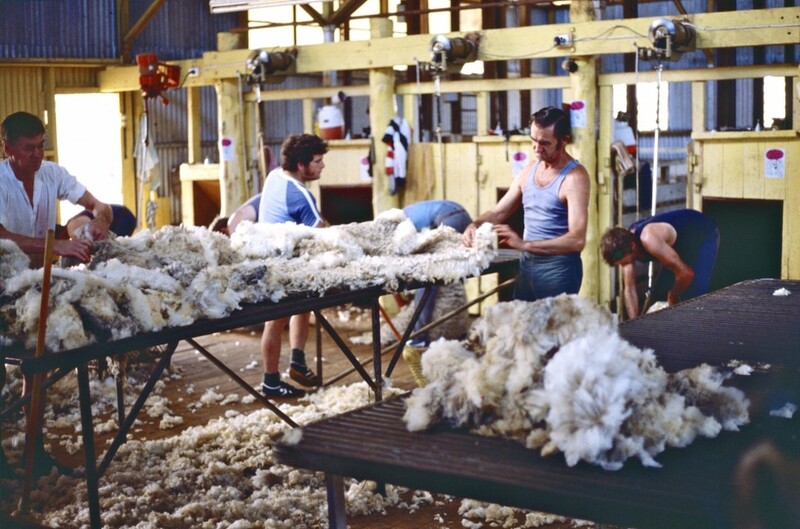 Shearers take the sheep and shear off the fleece in one piece. 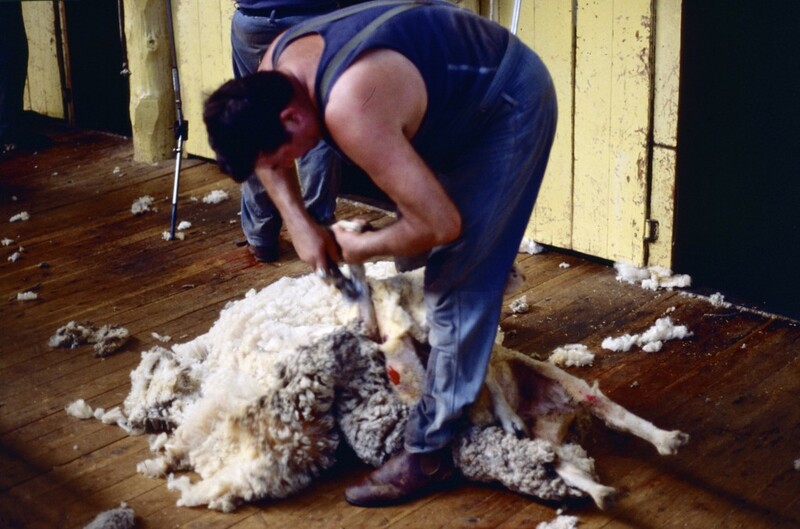 Once done, the shearer takes the next sheep while others collect the fleece and take it to a table where bits of plants or dirt can be removed. A woolclasser then checks the quality of the fleece. They check how fine the wool is. Merino wool from these sheep is amongst the finest wool in the world. Once classed, the fleece is put into a press with the same quality wool. When full, the press forces the wool together into bales. Bales can then be placed on trucks and sent off for sale. 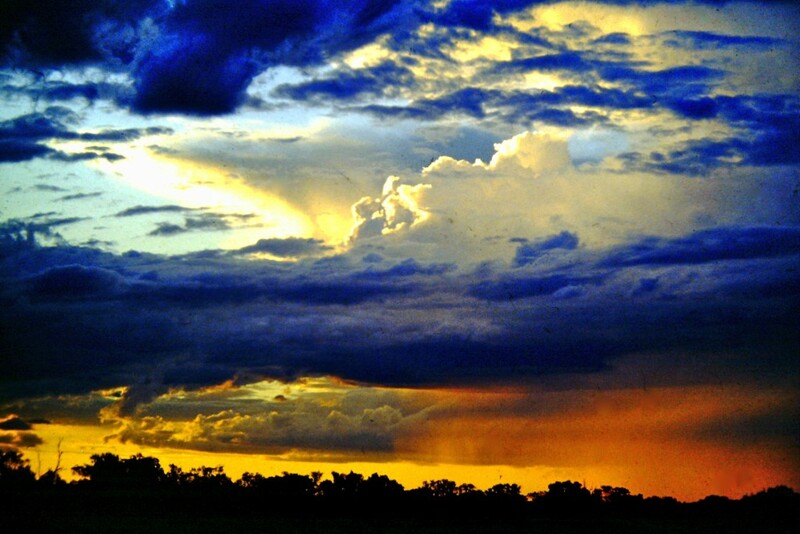 Sunsets at Lemon Grove could sometimes be amazing, especially when storm clouds were gathering. Sometimes, the miracle of rain comes to the dry land and within two weeks, the land can turn green with plant growth. 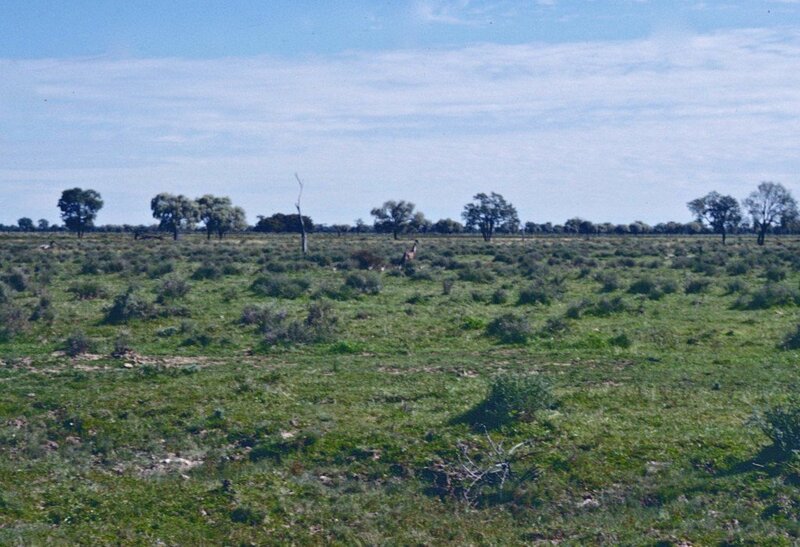 If you look very carefully in the middle of this photo, you can see an emu running away from where I was standing. Like ostriches, they can't fly. They rely on running to escape danger. It is a male. How do I know? Look even more carefully and you can see chicks following the emu. 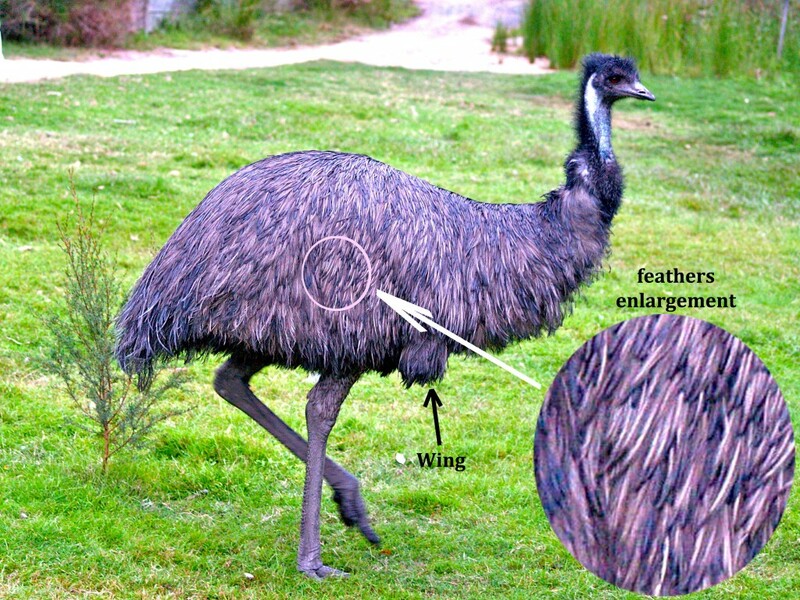 For emus, once the female has laid the eggs she leaves. It's the males that care for the eggs and developing chicks. Cattle stations mixed with sheep stations are found near Marra Creek School but, as you move into northern and more western Australia, sheep give way to cattle. 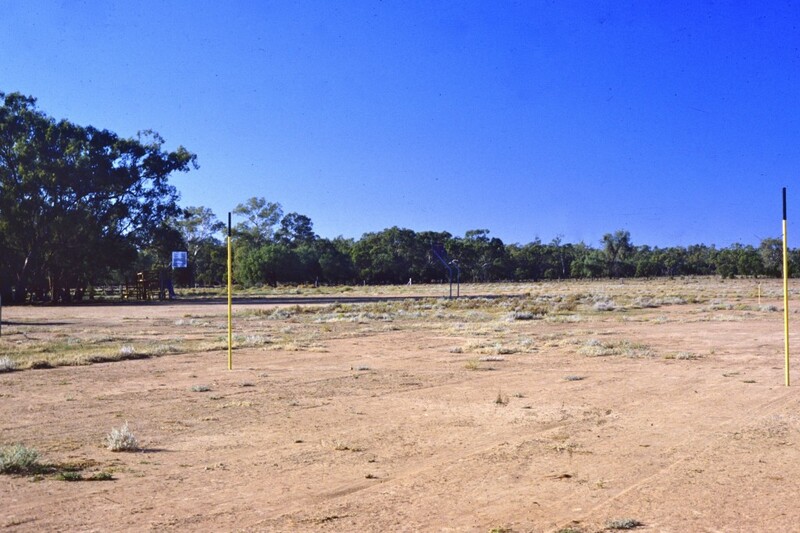 Australia's largest cattle station is known as Anna Creek Station. Anna Creek Station is roughly 24,000 square kilometres (6,000,000 acres or 9,400 sq mi) or about the size of the U.S.A. state of New Hampshire. It is in the state of South Australia. The largest cattle ranch in the U.S. is, I think, King Ranch in Texas. At 3,340 square kilometres (825,000 acres or 1289 sq mi) you would need a little over 7 King Ranch to make up Anna Creek Station. In areas where rainfall is low, stations need to be very large to allow enough land for cattle to feed. 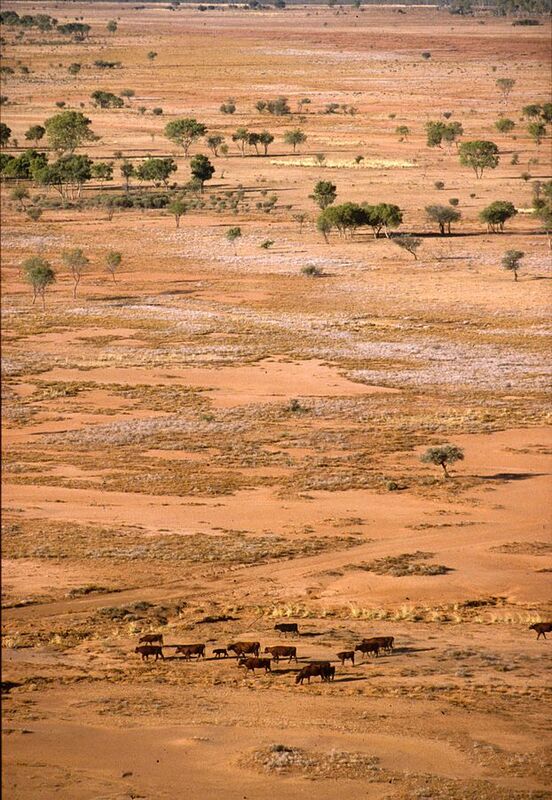 In the photo below, taken by Robert Kerton of the Commonwealth Scientific and Industrial Research Organisation (CSIRO) in the Northern Territory, you can see how arid cattle station land can be. Anna Creek Station in South Australia is roughly 24,000 square kilometres (6,000,000 acres or 9,400 sq mi) and, as at 2012, it had 17,000 cattle. That means each animal has about 1.4 square kilometres (353 acres or about half a sq mi). Smaller stations where more feed and water is available would have higher numbers of cattle for the land available. 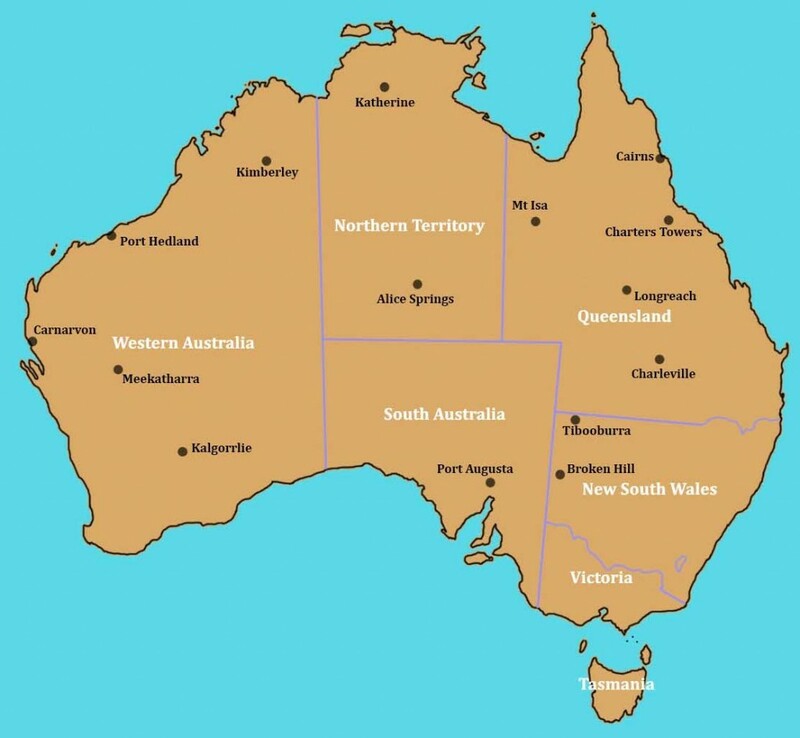 Australia is a huge country, although smaller than U.S.A.'s 50 states yet most of it is arid or semi-arid (desert or near desert). Most Australians live around the coastal areas, paricularly in the east of Australia. My home is along Australia's east coast about half way between Sydney and Melbourne. 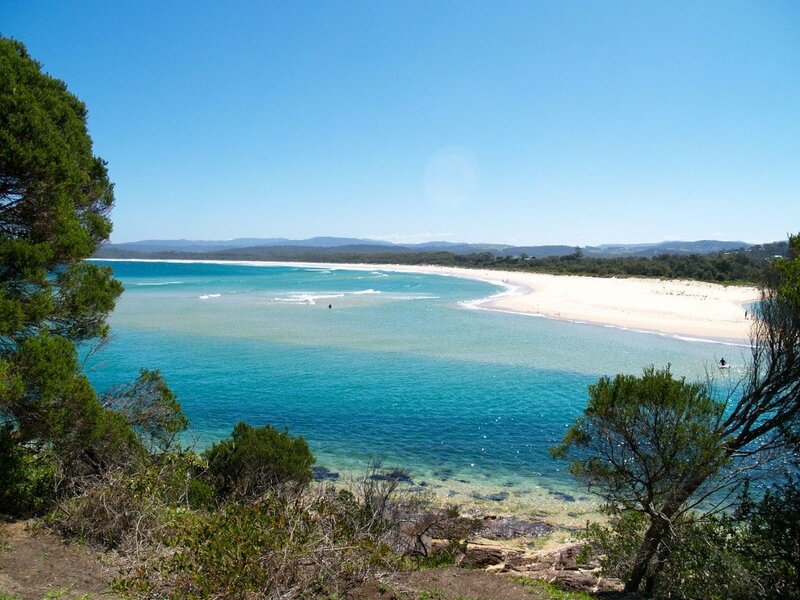 It is in the Bega Valley Shire, an area known for Bega Cheese and its beautful coastline is popular with tourists. My family has been in this area since the 1840s. They were, and my cousin still is, dairy farmers. As well as dairy, we have beef cattle and sheep in my area. A few properties also have alpacas, none of these animals being native to Australia. You can see it is much greener and hillier than central Australia. 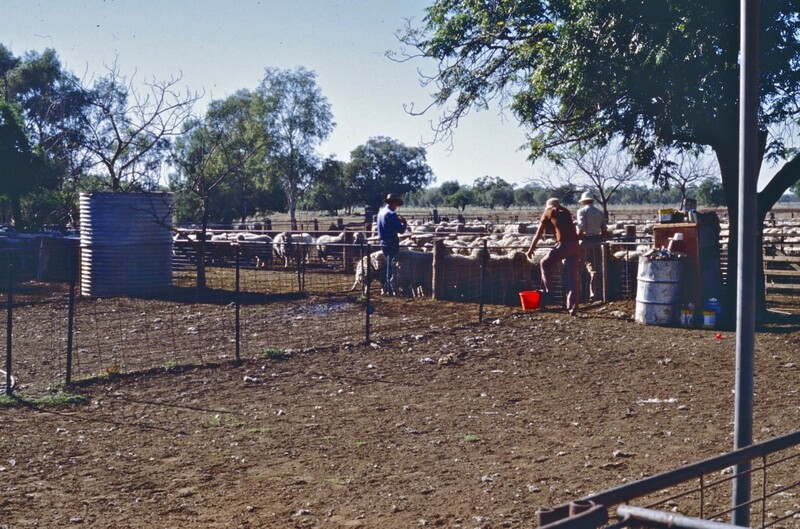 Farms are much smaller than the sheep and cattle stations of the Outback. ...and since I mentioned our coastline, here is a photo I have taken of the coastline as can be seen from my town. Posted in Animals, Australia, Education, Environment & Weather, Geography and tagged cattle, cattle stations, emu, Great Artesian Basin, school of the air, shearing, sheep, sheep stations, The Outback on April 1, 2015 by rossmannell.